Just in time for Halloween! 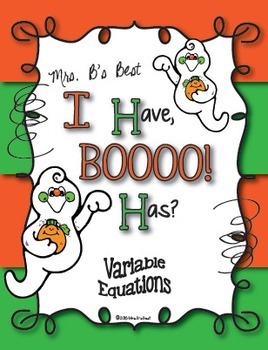 I Have, BOOOOO! Have!! 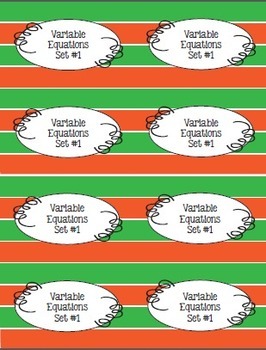 Each set includes 24 cards. Also included are card covers. I usually run a cover on the backside of each card. This allows me to easily keep sets together and not mixed up. Plus, it adds some color to the game. If colored printer ink is at a premium, you can choose to run the black and white cover instead. Again, this will allow you to keep the cards in the proper set. You can play this game whole class by distributing cards to all students. Note that some students may have more than one card. Next, the teacher prompts the student that has the first card to start by reading their card. 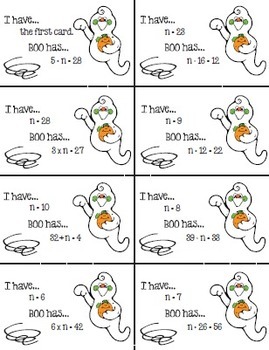 Students will have to determine the next number in the sequence. Whichever student has the card with the correct answer will read theirs. And so on. The game continues until the last student reads their card, "I have the last card!" Another alternative to playing whole class is to play it with small groups of students. 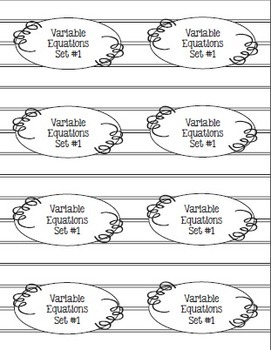 The process would work the same way, however each student would have multiple cards. I like playing it this way even better, because it really keeps the players on their toes. So, in my room, this is usually an activity that groups of 6 or 8 play. Now, since you have 3 sets with this purchase, you could have three groups of 8 playing at once in your room. As I said, if a player has multiple cards, they have to be paying attention. Let’s face it we all know that many students will be less attentive once they have read their card.